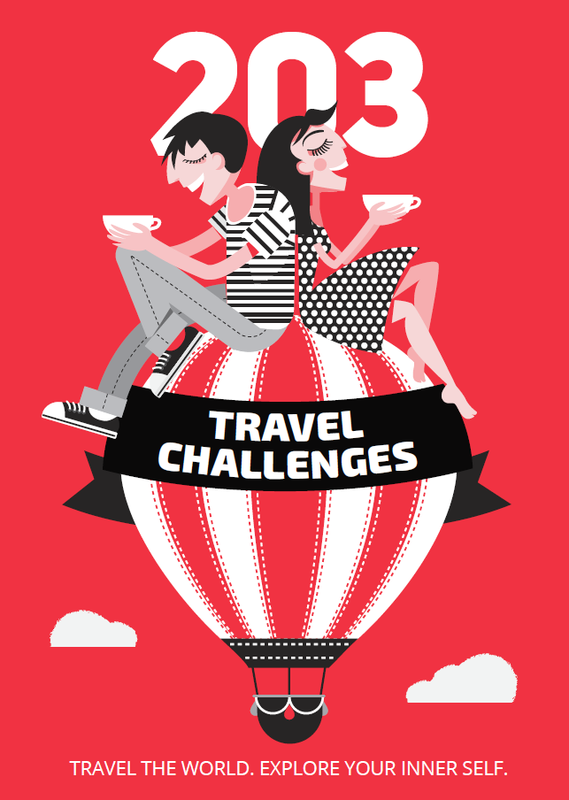 The challenge: spend a day in Berlin with a budget of 15€. No matter where you are, you can always find something unique and memorable to do or see for absolutely no money. 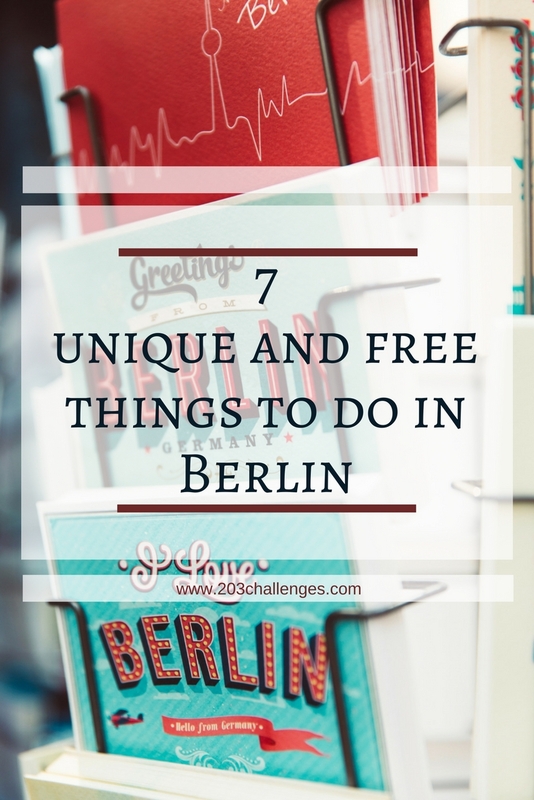 This is particularly true when it comes to Berlin, where you don’t even have to search for fun and free activities – they come to you themselves. 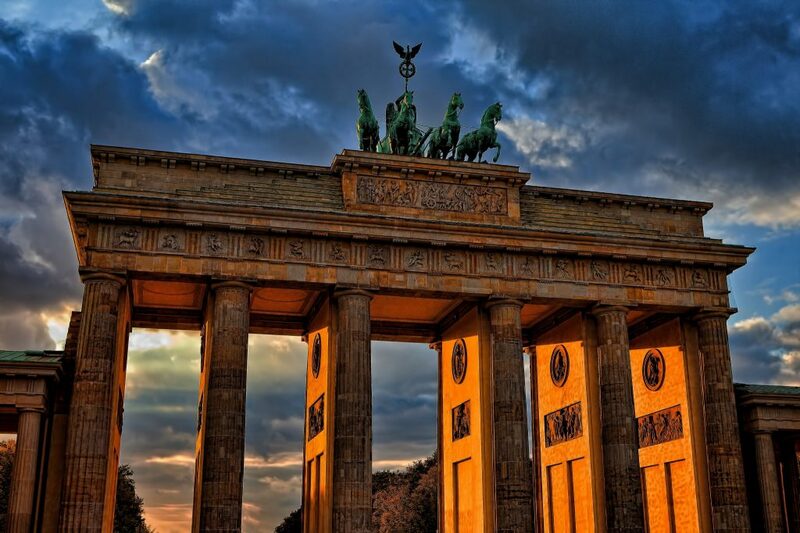 Anyway, here are a few ways to enjoy Berlin without spending a penny. Crowning the neighborhood of Kreuzberg, this hilltop park is great for a lunchtime picnic accompanied by a view over the city. As well as relaxing or playing sports amid the greenery, you can also enjoy some curious sculptures and an artificial waterfall in summer. Just south of the Brandenburg Gate are the 2,711 concrete slabs that make up the Holocaust Memorial, which – with its grey color and grid-like but undulating layout – brings a strange feeling of loneliness and disorientation. 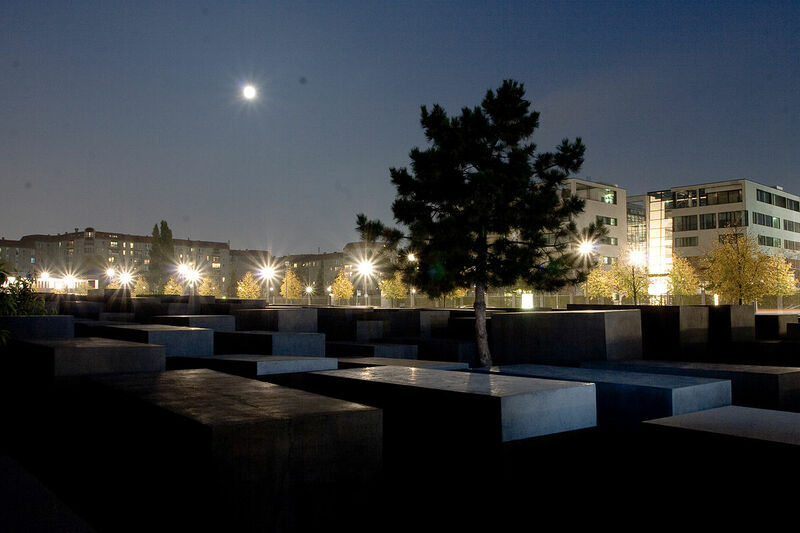 The haunting experience of walking through this quite abstract and unusual memorial leaves space for you to reflect on the unimaginable horror of the Holocaust. That’s why it’s one of the most important places to visit if you want to really understand Berlin. Suggesting shopping as a ‘free thing to do’ is an absurdity, I know. That said, browsing is always free. The biggest appeal of Berlin’s flea markets is their atmosphere, with all kinds of arts and crafts that you can admire without buying. While you’re browsing, you’ll almost certainly see some weird and wacky things you never even knew existed. Some of the best places to do this include the flea market at Bode Museum (every Saturday and Sunday from 11 am to 5 pm), where you can find a great selection of antique books; Antikmarkt (Sunday – 8 am-4 pm), with lots of jewelry, art, and vinyl; and Mauerpark, where every Sunday you can also take part in the famous karaoke in the arena. 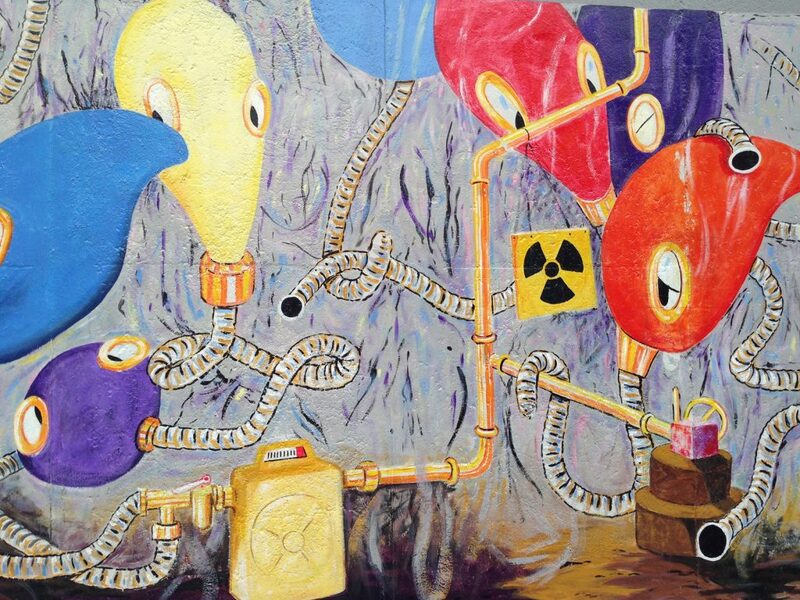 If there is one city in the world where discovering the street art should be a priority, it’s Berlin. Eye-catching graffiti pops up everywhere; thought-provoking pieces by some of the world’s most famous street artists lurk around every corner, especially in the trendy neighborhood of Kreuzberg. And then, of course, there’s the East Side Gallery: the longest open-air gallery in the world, painted on remnants of the Berlin Wall. 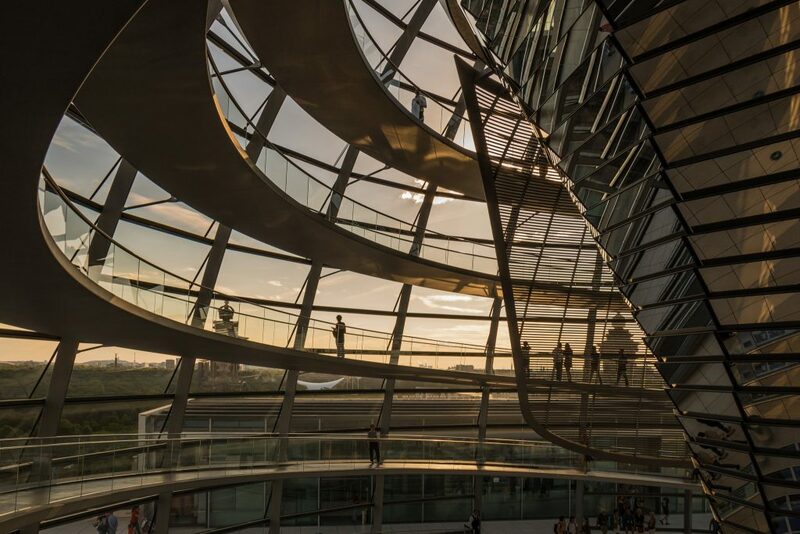 Book in advance and get a good view of the city from the rooftop terrace and the glass dome of the Bundestag. The building is open every day from 8 am until midnight, and groups of visitors are admitted every 15 minutes – the last session beginning at 9.45 pm. Your admission includes an audio guide, so you can enjoy some history to accompany the great views. 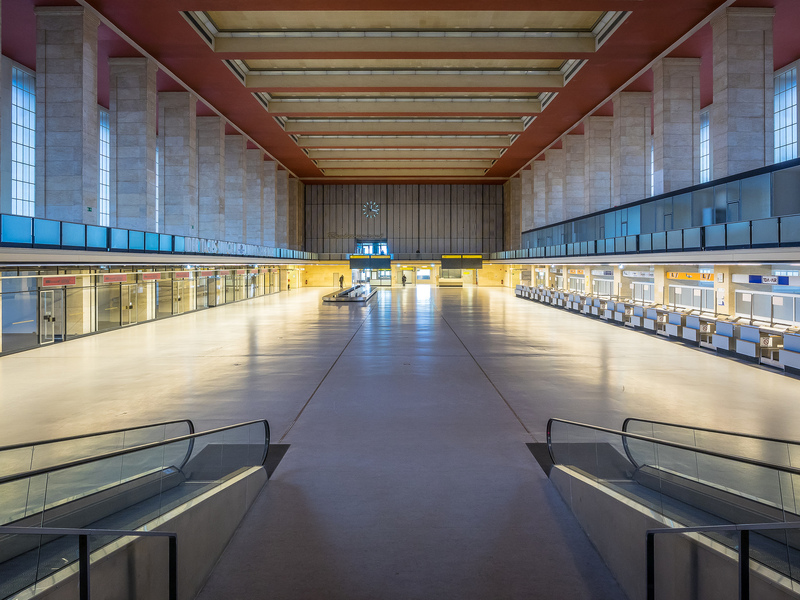 What was once an iconic pre-war airport is now one of the biggest urban parks in Berlin; a historic site where you can go biking, walking, skateboarding or practice any other type of sport. Alternatively, if you feel like just lazying around, find a spot on the grass and enjoy some German beer and bratwurst. It’s not uncommon, especially in the summer, for Templehof to host an array of concurrent events. Regardless of what’s on, you owe it to yourself to visit this unusual park. After all, it’s not often you get the chance to walk down an airport runway, is it? The oddest objects – and the even odder stories behind them – turn this tiny museum into an hour-long escape from reality, where you’ll be immersed in a world of wild imagination conceived by its creator: artist Roland Albrecht. All of these objects – small or large, everyday or special – have their own personality and make this museum a one-of-a-kind experience. 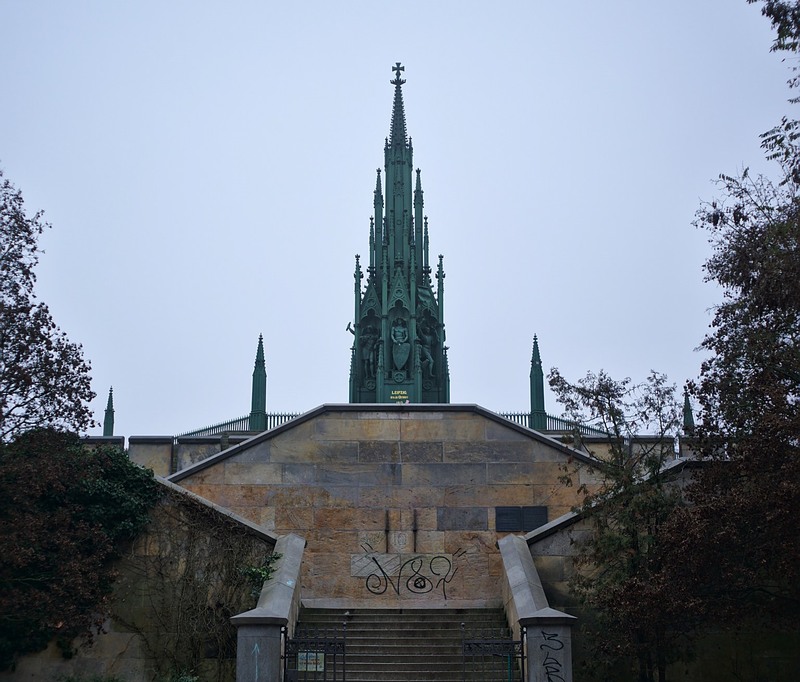 Opening hours, tickets and other information about the Museum of Unheard Things here. Pinning this post doesn’t cost a penny either, so you might as well just do it now. Who knows when you’ll find yourself in the center of Berlin with no money?